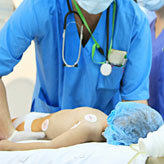 Trauma Centre Started in BIMR Hospitals. Pathology, X-Ray, CT SCan, Ultasound, OPD and other,Medical Stores(15% discount on cash sale of medicines). Infertility - Two trained and experienced consultants are available daily for consultation and treatment, Ultra modern equipments. Two Experienced Consulants M.Ch. (Plastic Surgery) are available daily for Treatment & Operation. All cases requiring surgery are diagnosed. Consultant M.Ch. 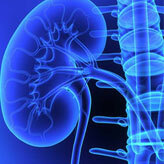 (Paed Surgery) available daily for Consultation & Operation. All Paed cases requiring surgery are diagnosed. Three experienced and Senior Surgeons working in the deptt. All types of General Surgery Operations are being performed routinely. Consultant Dental Surgery available daily for Consultation & Operation.Highly skilled Surgeon available for facial trauma cases. C-Arm & Arthroscopy facility is available and all types of Ortho Operations are being performed daily. Hip Joints replacement available. 300 bedded Multi - Super Speciality hospital, Operation Theaters, Heart Centre, Oncology Centre, IVF Centre, Trauma and Neuro Centre, Burn Unit, Computerised Eye Departments etc. Casualty,Cath Lab procedures like Angiograpy, Angioplasty, Pacemaker etc., Dialysis, Laproscopic Surgery, Gastroenterology,Infertility,Delivery Suite,Skin, Psychiatry etc. X-Ray,OPG,Mammography,CT Scan,Ultrasound,NABL Accredited Pathology,Echo Cardiography with Colour Doppler,TMT,ECG etc. 300 Bedded Multi Super Speciality Hospital recognised by CGHS! Consultant M.Ch. (Paed Surgery) available daily for Consultation & Operation. All Paed cases requiring surgery are diagnosed and investigated by an experienced consultant. 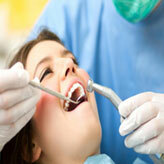 Consultant (Dental Surgery) available daily for Consultation & Operation. Highly skilled Surgeon available for the treatment and operation of facial trauma cases.